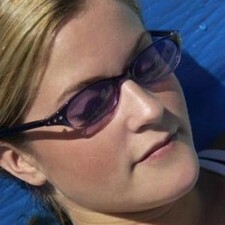 Summer is fast approaching and contact lens wearers should be considering what colour sunglasses best suit their face. Purple is one colour which is being tipped to be a favourite around the major fashion capitals, as it gives the wearer a funky and modern look. Fashion fans can choose to opt for a high street retailer and buy on a budget, or they can consider what some of the top labels have to offer. Female contact lens wearers can team their sunglasses with practically everything, whether it be a floral dress, jeans and casual T-shirt or with their swimming pool sarong. Sporty men can also get their hands on some of the top designs for taking to the cricket pitch or golf course, with Puma having recently released its summer range. With the cricket World Cup taking place in Asia, there are many examples on show from some of the planet's top sportsmen.